What are the different connectors possible to use when connecting my laptop to the TV? 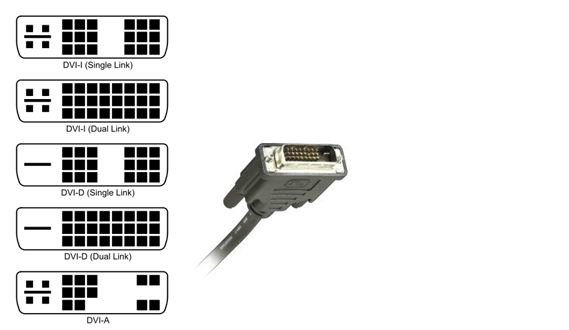 1 Select the suitable cable for your Laptop and television. 2 Connect one end of the cable to your laptop. 3 Now connection the other end of the cable to the suitable input on the TV. 4 To view desktop, Videos, images or any other content please turn on your Laptop. 5 Now 'Power ON' your TV and press the 'SOURCE' button on your remote control. 6 Navigate to PC or HDMI/DVI and press ENTER.